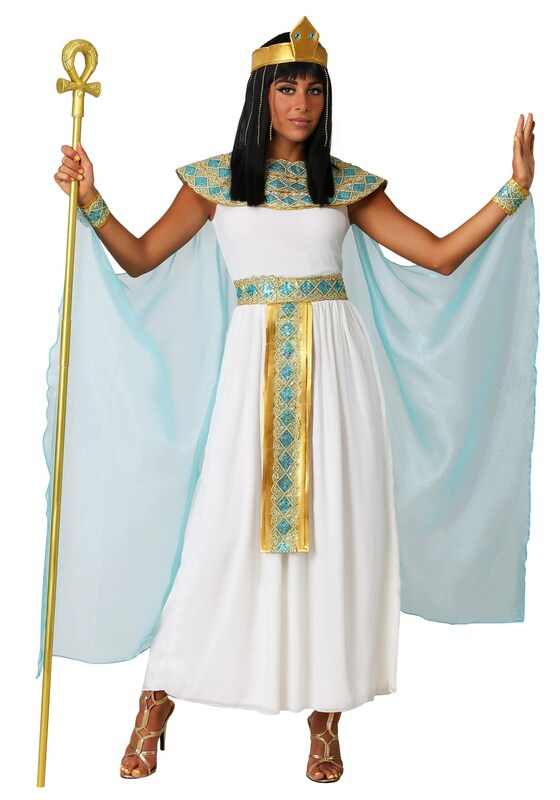 Did you know that Cleopatra came to the throne at the young age of 18? After years of living in luxury, it's no wonder she had such high standards. Not only did she have high standards for living, but she was also quite intimidating. Most people were quite terrified of Cleopatra. She had quite the way of striking fear into the hearts of those who would oppose her as well as her own constituents. We have a soft spot for her anyway. What’s not to like about a woman who knows what she wants and knows how to get it? Live out your Halloween night in complete luxury as the great queen of the Nile in this Adult Cleopatra Costume. You’ll strike fear into those around you while simultaneously gaining their appreciation and attention. 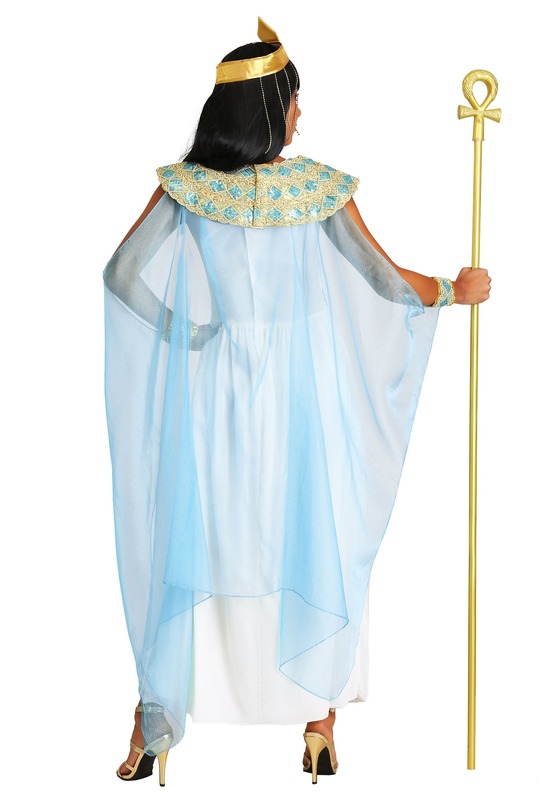 This Cleopatra costume comes with everything you need to take control this Halloween. The floor-length sleeveless gown fastens with Velcro at the back for a comfortable fit and is made of a cream interlock with a chiffon overlay. The gold lame belt has a drape and is sewn to the front of the waistline. A belt and collar are also included and they are trimmed with sequins and metallic gold braiding. A turquoise organza cape attaches at the shoulders and cuffs with Velcro. The included foam collar adds drama and also fastens with Velcro. Top it off with the extravagant headpiece that is made of gold foam and has blue faux gems at the front and strands of gold beads hanging from the sides. Get ready to ascend to the throne this Halloween!